The newly created Negros Island Region (Region 18) is one blessed island which serves as a shining example of how a province can chart a pathway to its own food sustenance. Slowly but surely, Negros Island is showing the rest of the Philippines that going organic makes sense. Despite being physically separated by the Mt. Kanlaon range, the provinces of Negros Occidental and Negros Oriental are of one mind in harnessing land resources towards organic farming. In fact, Negros Island Region 18 now exceeds the world average in terms of lands allocated to organic agriculture. The global average for agricultural land dedicated to organic farming is 3 percent. 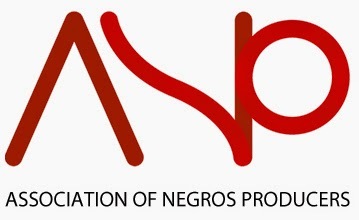 Negros Island is currently at 4%, and growing! An enthusiastic group dedicated to organic farming, Organik na Negros! Producers and Retailers Association (ONOPRA) is spearheading various awareness campaigns to attract not just consumers but potential organic farmers into this food sustenance revolution. Last year, Negros Island was featured in a 25-minute Living Asia Channel documentary dubbed as the Organic Bowl of Asia. For those visiting Negros Island, one only needs to make their way to Rapha Valley in the uphill municipality of Don Salvador Benedicto to learn from Dr. Albert Jo, a medical doctor who explains to his visitors the various health benefits of various plants and flowers. 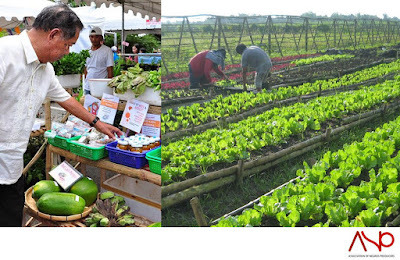 It is through small platforms for education as these as well as wider scale public media awareness (now even made easier via the use of social media) that helps Negros Island move further in its emphasis and thrust for organic farming. With this in mind, 5% in terms of agricultural land use for organic farming for Negros Island Region 18 will not be surprising at all. 7,107 islands. One SWEET SPOT. Negros Island - the SWEET SPOT of the Philippines. The Best of Negros Island. ©2015 Negros Island Media. Powered by Blogger.